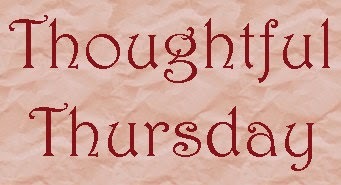 Thoughtful Thursday: Do You Need to Like the Protagonist? Assuming that the protagonist is well written, do you need to like the protagonist to enjoy the book? Does the protagonist need to share similar values to you or be an extension of you in some way? Can the protagonist be completely different from you and you still enjoy the book? In a few months, the final book in The Magicians trilogy by Lev Grossman comes out. Although I've had a few problems with this series, overall, I've really enjoyed it. Grossman plays with the ideas of Narnia and Hogwarts and warps them into this weird, new tale. The reason I am mentioning this is because the main character in this book is Quentin Coldwater, and he is a bit of a jerk and is miserable at times. In short, I wouldn't want to be friends with him. I've noticed that a lot of people don't seem to like this book, because they don't like Quentin. This got me thinking about other books that I enjoy that have unlikeable protagonists. When I started thinking about it, I realized that I read a lot of books with depressing, negative, and/or villainous protagonists. I think this is because I enjoy reading books from the criminal's POV. Anyway, I realized that outside of a few exceptions (I don't want to read a book about someone who enjoys sexually assaulting someone, for example), the protagonist and I don't need to share the same values or outlook on life. The protagonist and the story just need to draw me in and be well written. In fact, I seem to enjoy books with characters that act in a completely opposing way to me. I suppose the reason for this is that I like to ask myself "what if?" What if I had gone to a different college? What if my parents were different people? What if I had done something different with my life? I like the idea of being in someone else's head and seeing life through their eyes. Like I mentioned earlier, there are certain types of folks that I would never want to share a brain with, but I'm down with exploring most fictional people's minds. When it comes down to it, my life is fairly mundane. I am the stereotypical "nice girl" who plays by the rules. I don't want to read a book about me, because I know how that book would end. This sounds a lot more depressing than I mean to be. I want to read books about characters like Katniss who is grouchy and doesn't know how to do the social niceties. I want to read about Quentin who makes several bad decisions and doesn't have his life together. I want to read about Scarlet O'Hara and her love of the wrong man until the very last minute. I find their stories fascinating mainly because they make choices that I wouldn't have made. Granted, I want their choices to be thoughtful and true to their characters, but many times I want to read about characters who are going to make choices different from my own. When I read a book, I want to escape into someone else's world for a moment. Now it is your turn! Assuming that the protagonist is well written, do you need to like the protagonist to enjoy the book?